The single greatest threat to the future of humankind is an unknown to most people alive today. That is some thought. Giving the threat a name – climate change – makes little discernible difference to the general population’s recognition of the unfolding catastrophe. This, it would seem, is because, apart from the inhabitants of some small islands being swallowed up by climate-induced rising sea levels, climate change has not been sufficiently in-your-face. This is no longer the case. 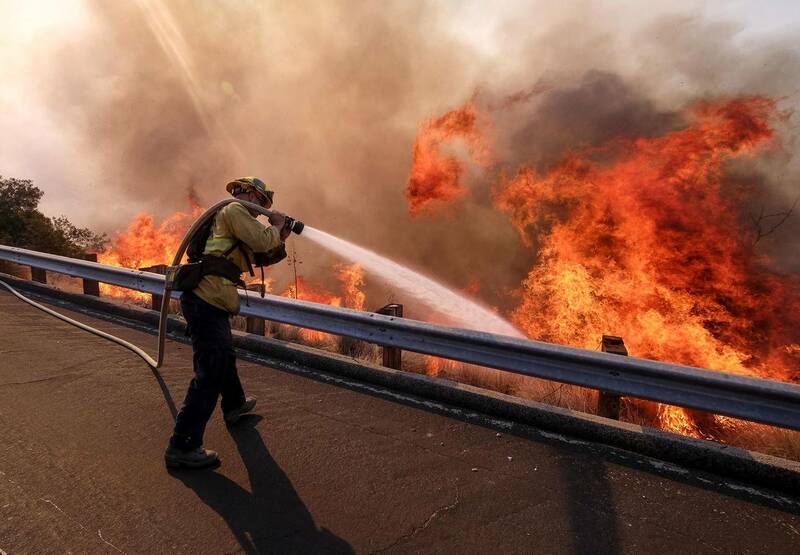 Hardly a day goes by without reports from around the world on what used to be described as “extreme weather events”: runaway fires, hurricanes, droughts, floods, landslides, heat waves. Their very frequency turns them from being “extreme” into today’s normal. Which is precisely what climate science has been warning us about for more than half a century. And, yet, the main victims of these events – the poor of the world – know little if anything about what lies behind their suffering. Worse still, drawing on a fast-feeding xenophobia, they blame each other when they collide at national borders: One group dressed in military uniforms and armed with the latest killing equipment keeping out the second group seen as malevolent “foreigners” set on stealing their jobs or similar benefits made scarce by the age of austerity. These confrontations are not from a fictional dystopian future but are being enacted on our TV screens as North Africans drown while seeking to enter Europe. But, like so much else about climate change, the climate change realities are not normally named. Something very similar is, indeed, currently happening in Central America. It does have a media-given name: the “migrant caravan”. 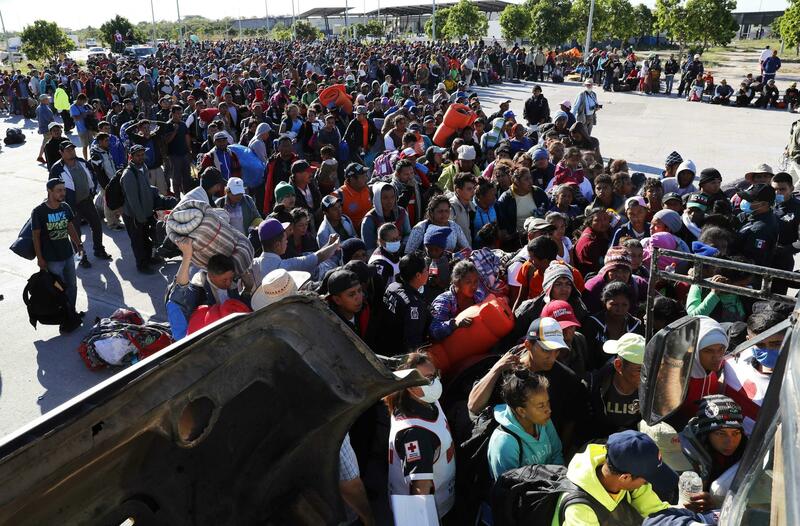 Gang violence and extreme poverty are offered as the reasons propelling the march of some several thousand people from mainly Guatemala, Honduras and El Salvador as they trek to the US border. Journalists from The Guardian (of London) were not content with “poverty” as a self-sufficient explanation. Under the title of, The Unseen Driver Behind the Migrant Caravan: Climate Change, they looked behind the poverty by asking some pertinent questions. While climate change remains an unknown term, the small farmers are painfully aware of the weather changes that ruin crops and the lives dependent on stable weather patterns. A third of all employment in Central America is linked to agriculture, so any disruption to farming practices can have devastating consequences. Disrupted weather patterns are linked to the surge in outward migration from western Honduras,a prime coffee-producing area. “Coffee used to be worth something, but it’s been seven years since there was a decent price,” said Antonio Lara, 25, who joined the caravan with his wife and children, aged six and 18 months. “I didn’t leave my country because I wanted to. I left because I had to,” he said. Climate change, in the form of unpredictable weather, has resulted in more than 3-million Hondurans struggling to feed themselves. Food insecurity, in turn, forces farmers, who, having abandon their farms, first migrate to urban areas. Once there, a host of urban problems lead them to hazard further dislocation, as they try crossing national borders and, for the lucky few, confront life in foreign countries. According to the World Bank, warming temperatures and extreme weather will force an estimated 3.9 million climate migrants to flee Central America over the next 30 years. By then, an estimated 150-million to 300-million climate refugees are likely to be displaced worldwide. Present trends suggest that not many of them will know what lies behind why “their farm has been dried to a crisp or (their) home has been inundated with water and (they’re) fleeing for (their) lives,” as Michael Doyle, an international relations scholar at Columbia University, puts it. Unless these trends are changed, they will also not know that their governments knew perfectly well what was going to happen but chose to do nothing because they knew that the poor and powerless would continue to be the first victims of climate change. Any lingering doubts about climate change being a guaranteed catastrophe are no longer merited. This is because of the evidence recently provided by the UN’s Inter-Government Panel on Climate Change (IPCC), the body tasked with producing the most accurate scientific information on the changing climate. The IPCC’s Report, the product of 91 specialist authors from 44 different countries, enhanced by 42,001 expert and government review comments and backed up for over 6,000 cited references, is unambiguous in its findings: climate change is happening quicker than predicted; consequently, even more urgent and drastic action is needed now, if there is to be any chance of avoiding the tipping point of unstoppable climate change. The IPCC produced a non-technical summary of its report especially for policy makers. These policy makers – the leaders from the 195-member countries of the UN – will be holding their 24th annual meeting dedicated to agreeing a global response to climate change, in December 2018. Like all 23 of its predecessors, this gathering – known as COP 24 – is guaranteed effectively to ignore the meticulously gathered scientific information provided by its own scientists, at their request and for their own benefit. They will do this because, in terms of their own class-based rationality, a world no longer able to sustain human life is easier to comprehend than an economic system and related way of life not driven by the imperatives of maximising profit. Some of them will, additionally, not mind workers around the world being at war with one another as they adjust to the devastations of climate change. At the same time as imposing this suicidal path on humanity, they will have no qualms about using the known consequences of climate change for their own petty purposes. President Donald Trump already alerts us to an opportunism without shame. Apart from dismissing climate change as an anti-American invention, he has, as an intended vote-winner in the recent US Mid-Term elections, been quick to turn the desperate plight of the few thousand relatively early climate refugees into a foreign “invasion” of the US sufficiently serious to warrant sending 5,000 active US service members to the border. For good measure, he even added “Middle Easterners” to the invasion force. Several years ago, AIDC published a booklet on the continuing failure of the world’s leaders to do anything about the on-rushing irreversibility of climate change, despite the increasingly alarming scientific evidence. AIDC called the booklet, The Long Suicide. The suicide continues today without interruption. The only change is the date of humanities’ final death throes. The Long Suicide is now much shorter: 2030, according to the IPCC Report. If we do nothing, that is. Jeff Rudin works at the Alternative Information & Development Centre (AIDC), having returned home in 1994 after spending the previous 28 years in England. His other paid work since his return has been as a Parliamentary researcher for the ANC and as the National Research Officer for the South African Municipal Workers Union.